There is much scholarly dispute about whether or not the First Epistle of Peter was indeed written by the Apostle Peter. I don't want to weigh in at this stage, except to point out that one of the most ridiculous arguments advanced against its authenticity is the view that the author could not be Peter because Jesus Messiah groups could not have spread within Peter's lifetime as far as the Roman provinces named in 1:1 — Pontus, Galatia, Cappadocia, Asia, and Bithynia. Proponents of this view are seemingly oblivious to the fact that Jews from three of the five places specifically mentioned in this verse — Cappadocia, Pontus, and Asia — had travelled to Jerusalem for Shavuot (Pentecost) and thus were present to hear Peter's speech. Some of these groups of Jews were undoubtedly among the "3000" baptised. It is generally assumed that Babylon declined after the conquest by the Persian King Cyrus the Great and fell into decay rapidly after its later conquest by Alexander the Great until it was finally deserted in the first century AD. 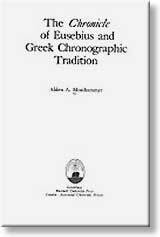 This assumption is mainly based on Greek and Roman authors of the period such as Pausanias, Strabo, Diodorus, and Pliny the Elder. However, as we discovered in Part VIII, a constant flow of correspondence passed back and forth between the Jerusalem establishment and the heads of Babylonian Jewry right up until the destruction of the Jerusalem Temple in 70 AD. We also discovered that the contemporary Jewish authors Philo and Josephus were in a much better position to know the facts than any Greek or Roman author and they tell us that, in the apostolic age, Babylonian Jews were very numerous and very wealthy and every year sent large amounts of silver and gold to the Temple in Jerusalem, whereas Jews were comparatively few in Rome, about eight thousand according to Josephus. It is also important to note here that because Babylonia was located on the plains of Mesopotamia, some of these very same Babylonian Jews must have been included among the Mesopotamian Jews whom Peter addressed specifically at Pentecost [Acts 2:9]. The assumed desertion of the city of Babylon was, and still is, advanced as a reason why the Apostle Peter could not have written 1 Peter from Babylon. However, it must be emphasised that the word "Babylon" does not necessarily refer to the city proper. It was also used to refer to the regions around the city and, as stated above, to the Babylonian centre of the Parthian province located on the Mesopotamian plain. As noted in Part II of this series, traditions about Peter's presence in Rome only surfaced after the Clementine literature, and the apocryphal Gospels and Acts, with their grotesque and fanciful tales about Simon Peter and Simon Magus, began to circulate in the latter half of the second century AD. Before the seat of the Roman Empire moved from Rome to Constantinople, some of these early writings were more concerned with Emperor flattery than they were with historical accuracy. They were more concerned with tying the new religion to Rome; with placing Peter, the alleged chief of the Apostles, in the same city as the great Emperor. And, according to Zahn, even the historian Eusebius confused Simon Magus with Simon Peter. So something with more cachet was needed — a little something that that would ground all the legends in reality, something from the New Testament itself — and it was duly found because marching along a parallel path with the authors of the romances and apocrypha had been other writers interpreting the "Babylon the Great" term used in the Book of Revelation as a coded reference to the Roman Empire. So this verse was drummed into service even though there is no absolutely no evidence that, at the time when the New Testament was written, the city of Rome was known by its authors as Babylon — on the contrary, wherever Rome is mentioned in the New Testament, it receives its proper name: Rome. The "Babylon is a code word for Rome" chestnut is very hoary indeed. It is used in such works as the Sibylline Oracles [5:159f], the Apocalypse of Baruch [2:1], and 4 Esdras [3:1] but none of these works could be considered remotely reliable because all of them are pastiches of various works of uncertain origins, uncertain authorship, and uncertain times. Fantastic fables became irreversibly entwined with the biblical material that Christianity is supposedly based upon and later writers began to speak with absolute certainly on matters that were simply unknown or unrecorded by the writers of the first and second centuries. "It is said that Peter's first epistle, in which he makes mention of Mark, was composed at Rome itself; and that he himself indicates this, referring to the city figuratively as Babylon." "The first rabbi who is cited as apparently identifying Rome with Esau and Edom is Rabbi Akiva (ca.50-135)..."
"The Holy One, blessed be He, knows that Israel is unable to endure the cruel decrees of Edom [Rome] and exiled them to Babylonia." Apparently heedless of the simple fact that the other geographical designations in 1 Peter have undoubtedly the literal meaning, and that the plain language of letters cannot possibly be compared to the language used in apocalyptic/prophetic works, the belief that the Apostle Peter used the word "Babylon" as a code-word for Rome and wrote 1 Peter from Rome is more widespread today than it ever could have been in the less technological past and is pursued by its proponents with such vehemence that one would think it was a self-evident truth dropped entire and without mixture from heaven. Of course, there is a delicious if not divine irony in all this. The alacrity with which Catholic authorities assert the figurative use of "Babylon for Rome" in 1 Pet. 5:13 in order to place Peter in that city, suddenly and amusingly disappears when it comes to the Book of Revelation where commentaries and footnotes bend over backwards to confine the same figurative use to pagan Imperial Rome only, or to evil cities generally and not (gasp) to the Church in Rome. And this latter interpretation is of course what so many non-Catholic brands of Christendom assert — that the "Babylon the Great" of the Book of Revelation is indeed the Papacy. Well, at least he who sits in the heavens must indeed have a wicked sense of humour! Remember Amalek! : Vengeance, Zealotry, and Group Destruction in the Bible According to Philo, Pseudo-Philo, and Josephus, Louis H. Feldman, Hebrew Union College Press, April 2004. Babylonian Talmud, Pesahim 87b, cited by Jacob Neusner in A History of the Jews in Babylonia: Vol 1. The Parthian Period, E.J.Brill, Netherlands, 1969, p. 74.